Though the Malaysian plastics industry registered a total sales turnover of RM24.77 billion in 2015, representing an increase of 27% compared to RM19.46 billion in 2014, the significant increase is not comparable as the country’s Department of Statistics had adopted a different method of compiling the statistics for the plastics industry in 2015, according to Datuk Lim Kok Boon, President of Malaysian Plastics Manufacturers Association (MPMA). The export sector, which is a good indicator on the performance of the plastics industry, had registered a 8.5% growth from RM11.94 billion in 2014 to RM12.96 billion in 2015. 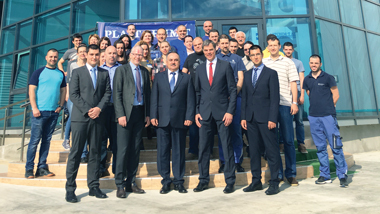 Moving forward, Lim said that the plastics industry would face challenges such as managing rising costs, particularly, the impending increase in minimum wages effective July 2016; the more stringent criteria and increased processing fees of employing foreign labour; GST issues; sustainability issues; competition with the emerging economies and the mild recovery in the economies in the EU and Japan. “Besides the many business challenges and issues faced by the plastics industry, MPMA is actively addressing the increasing misconception of plastics, in particular, polystyrene (PS) and plastic bags,” added Lim. He elaborated that MPMA is providing the necessary scientific facts to address this misconception and reiterated that banning polystyrene (PS) and plastic bags or any other products would not be the answer towards solving the country’s environmental issues. He said that it is not the product that pollutes, but litterbugs who indiscriminately throw their rubbish who are polluting the environment. Lim was speaking at the annual dinner hosted by MPMA recently. He informed dinner attendees of the sustainability projects undertaken by MPMA, such as anti-littering and 3Rs, including the Separation at Source (SAS) programme which is a collaboration with the Solid Waste and Public Cleansing Management Corporation (SWCorp). In addition, Lim said that this year, MPMA would be organising more anti-littering and 3Rs activities with partners such as Dow Chemicals, ExxonMobil and Chevron Phillips.